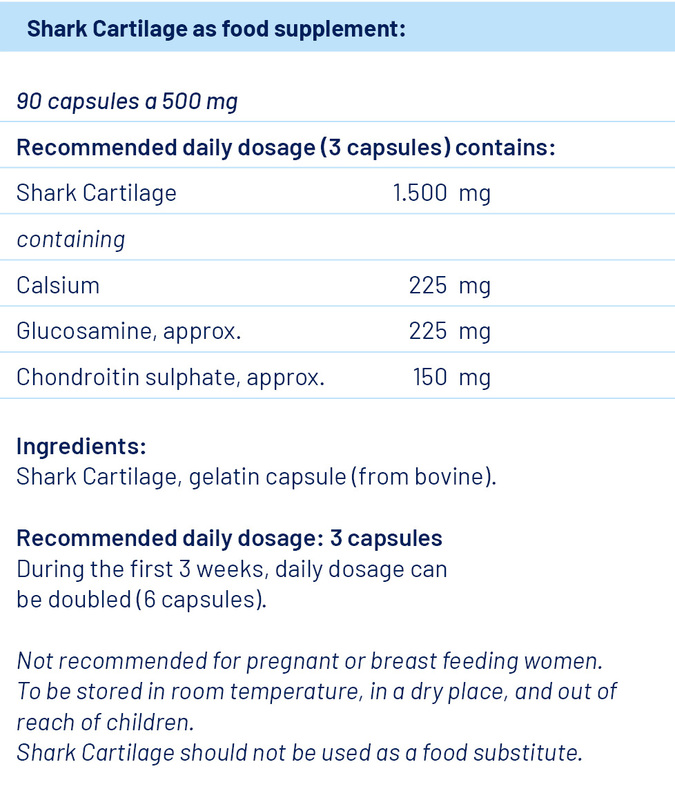 Shark Cartilage from Bjørge Ocean is a 100% natural marine product without additives. It is a rich and natural source to chondroitin and glucosamine. These are natural ingredients known to improve flexibility, elasticity and strength in the cartilage.